Nintendo have released a video with the latest offering of games for the NES – Nintendo Switch Online. 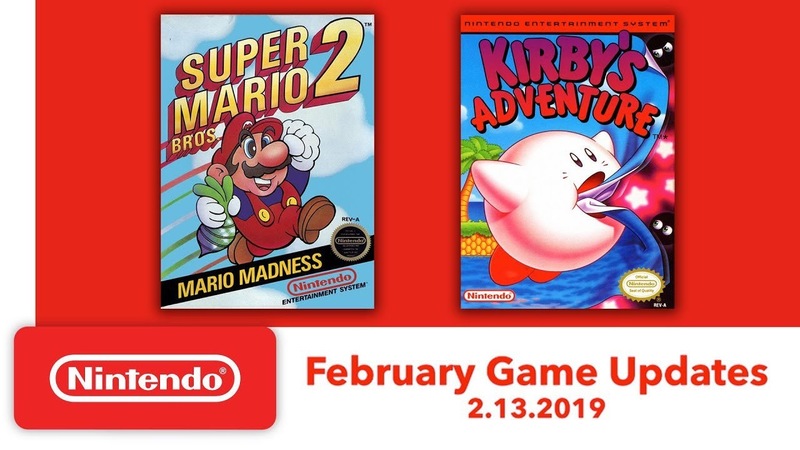 For February, there are only two games coming to the online service in the form of Super Mario Bros 2 and Kirby’s Adventure. For the Famicom – Nintendo Switch Online, subscribers will get both Super Mario Bros USA (the Japanese version of Super Mario Bros 2) and Kirby’s Adventure and a third game as well, Tsuppari Ōzamō.